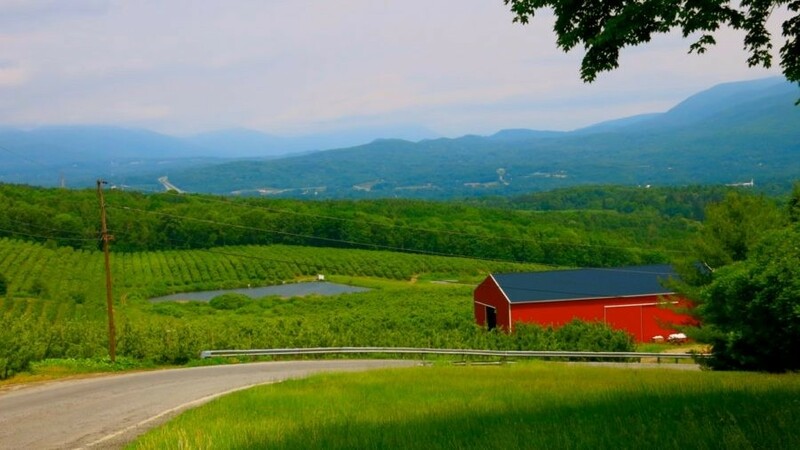 WHY GO: The lush, green mountains around Bennington VT, just over the Massachusetts border on Route 7, are the defining aspect of this region – inspiration for poets and artists like Robert Frost, Grandma Moses and Norman Rockwell. And for entrepreneurs, as well. Bennington Pottery, Dion Snowshoes (“performance snowshoes”) and Hemmings Motor News all originate in Bennington VT. Discover the appeal of this stunning region on this inspirational getaway that includes, of course, great craft beer, awesome cider donuts and luxury accommodations. GO: Vermont Welcome Center, Bennington. This is that rare State Welcome Center that is not on a major interstate. At the intersection of Routes 7 and 9 – stop here for a fantastic view of the Bennington Monument, free Green Mountain Coffee, and, according to many visitors, the “cleanest public bathrooms anywhere.” Well-trained, conscientious Vermont “Ambassadors” will guide you to the best places depending on your interests. Open 7-9 daily. Free. TOUR: Bennington Monument. Standing at 306 ft. 4 ½ “ tall, this limestone obelisk is the most visited historical attraction in Vermont – and also its most visible. Rising up through the green foliage, it can be spotted from afar. 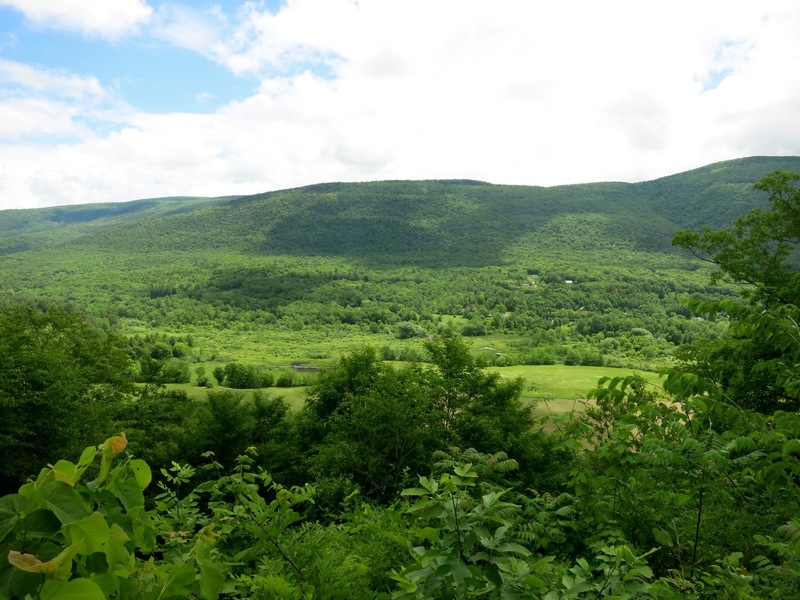 Erected in the 1800’s to commemorate the Battle of Bennington, fought on August 16, 1777, you can now take an elevator to the top (a 1 minute, 14 second ride) for fantastic 360-degree views of Vermont, Massachusetts and New York. Open Mid April through October, 9-5, $5 adults, $1 kids. VISIT: Old First Church. The first church in Vermont “dedicated to the separation of Church and State,” this congregation was established in 1762, and the church erected in 1806. 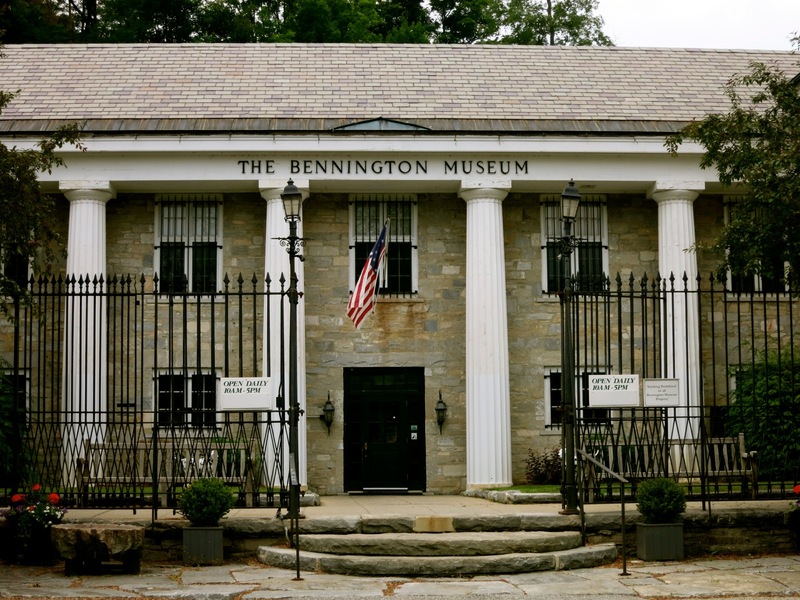 VISIT: The Bennington Museum. Most people come to this art and history museum to see the largest collection of Grandma Moses paintings in the world. But The Bennington Museum is branching out in new directions – adding more mid-century modern art and “filling in the blanks” about “Gilded Age” Vermont (1890’s – 1920’s), when an industrial boom drew an influx of wealthy mill owners. You’ll find one of only twenty 1924 Martin-Wasp Motorcars ever made, and portraits of women in their finery. The museum’s original building was in a former Catholic Church – a rare instance of “adaptive reuse” when The Bennington first opened in 1928. Built in 1855, the church became too small for the growing number of Irish and Italian workers who streamed to the region to work in the mills. 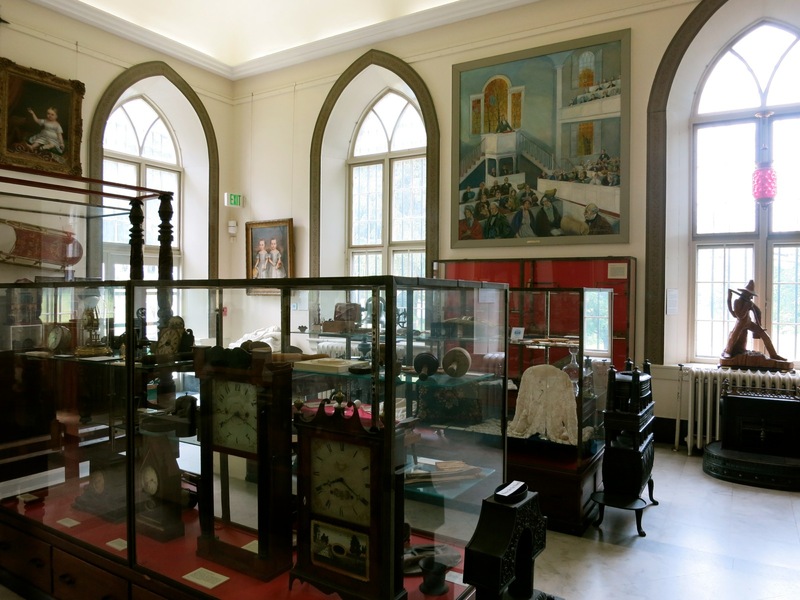 The original building remains an old-world glass curio-case “Church Gallery,” indicative of museums of yore. 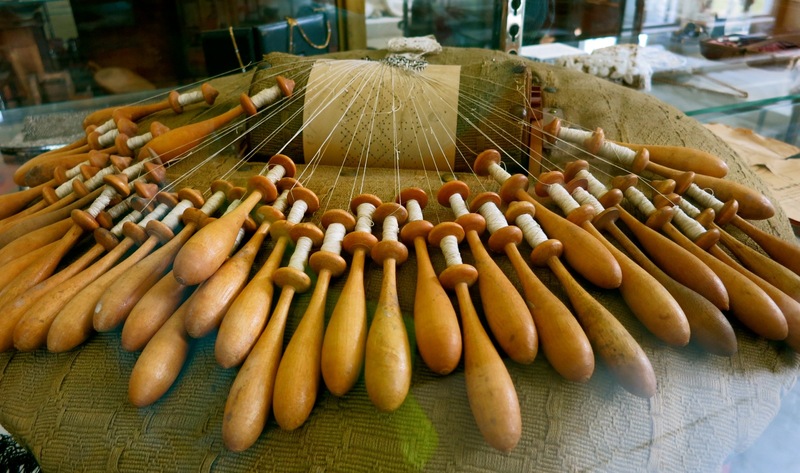 It’s chock a block with stuff – from marble slabs, to radios, pottery, weathervanes, clocks, statuary and even bobbins and lace – all representing goods made or sourced here. But of course, you’re here to see Grandma Moses art. Born the year Abe Lincoln was assassinated and passing away the year JFK was assassinated, Anna Mary Robertson Moses was a late blooming, self-taught artist who started painting “the simple farm life” in earnest at age 78. She proved that you are never too old to follow your passions. The museum has incorporated Moses’ one-room schoolhouse into its structure, as a hands-on gallery for kids. Open June through October, 7 days a week from 10 a.m. to 5 p.m. (closed July 4), February14 through May and November through December, every day except Wednesday from 10 a.m. to 5 p.m., $10 admission. 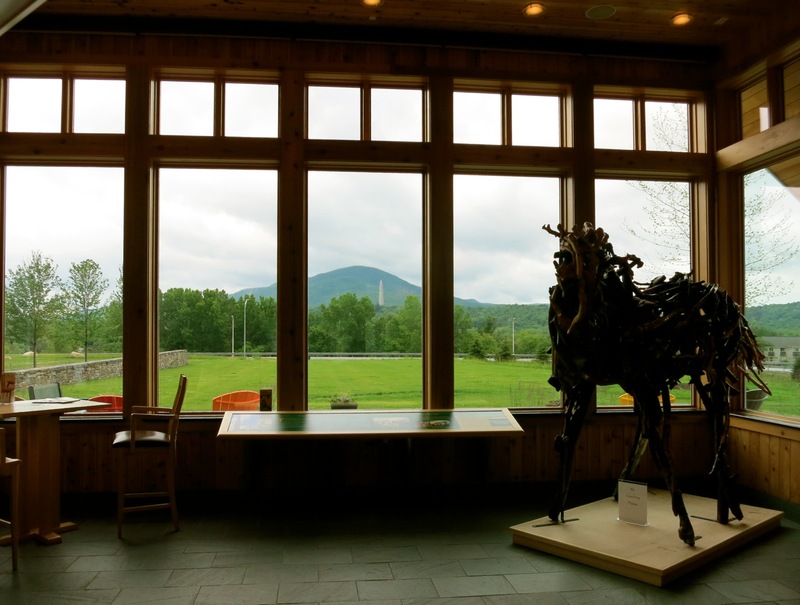 VISIT: Bennington Center for the Arts/Covered Bridge Museum. 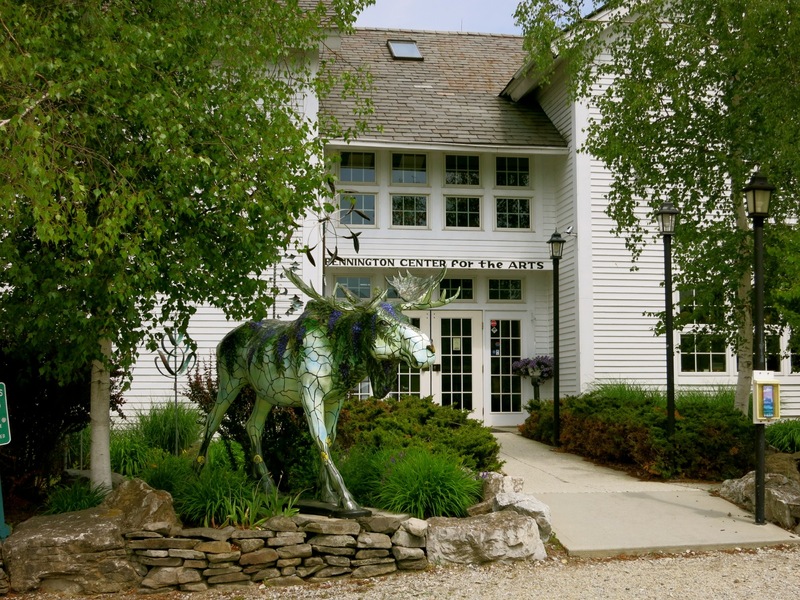 Known for its offbeat classes – such as The Birds of Prey Carving Class – the Bennington Center for the Arts is also home to a series of galleries where most art is for sale. Don’t miss two galleries upstairs that house a well-rounded Native American Art collection. A wing of the Bennington Center for the Arts, the quirky Covered Bridge Museum is a joy to anyone who has ever appreciated the beauty of a wooden bridge. In 1841, one British travel journalist wrote, “The timber bridges of America are justly celebrated.” Through photos, videos, and scale models, this museum celebrates every aspect of them; from engineering to craftsmanship –accomplished without computers or modern machinery. There’s an exhibit about haunted spots and one on “Edifice Wrecks” – the effects of earth, air, fire and water on bridges that could not be preserved. Open May-Dec, Wed-Mon 10-5. Jan-April, Fri-Sun 10-5. $9 adults, under 12 free. VISIT: Hemmings Motor News. 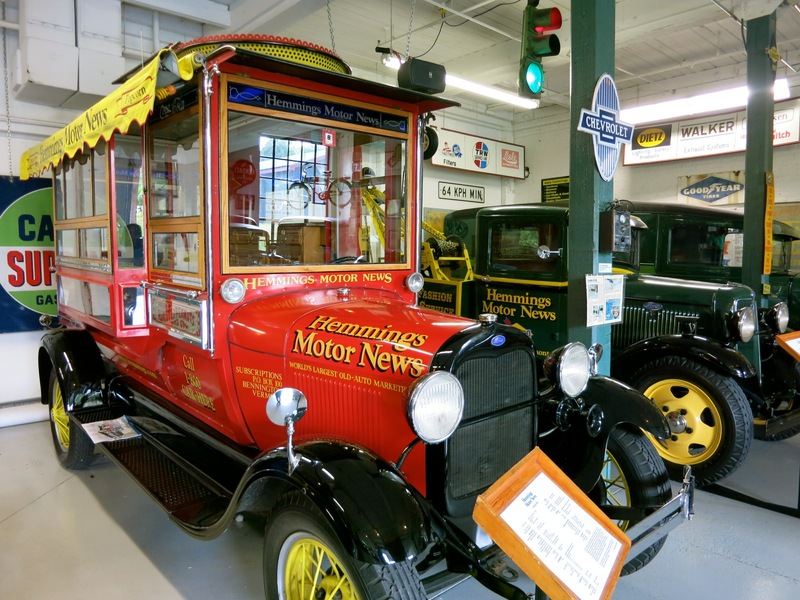 Nearly a quarter million fans of antique and prestige cars (including Jay Leno) around the world receive this monthly publication, printed right here in Bennington VT. But there’s also an antique car museum “out back” (in a large retrofitted truck garage), an automotive goods store, and old-fashioned pumps where amazingly, you can still gas up your car. Museum open June-October, 10-3 daily, free. SHOP: The Apple Barn. On Route 7 as you approach Bennington from the South, The Apple Barn is often the first place visitors stop when coming into town or passing through. Though its got one of the largest apple orchards in the state, you can’t pick ‘em yourself. But you can pick from dozens of varieties and apple iterations in baskets and on shelves in this fun place (and your own strawberries and blueberries in a field dotted with scarecrows out back). 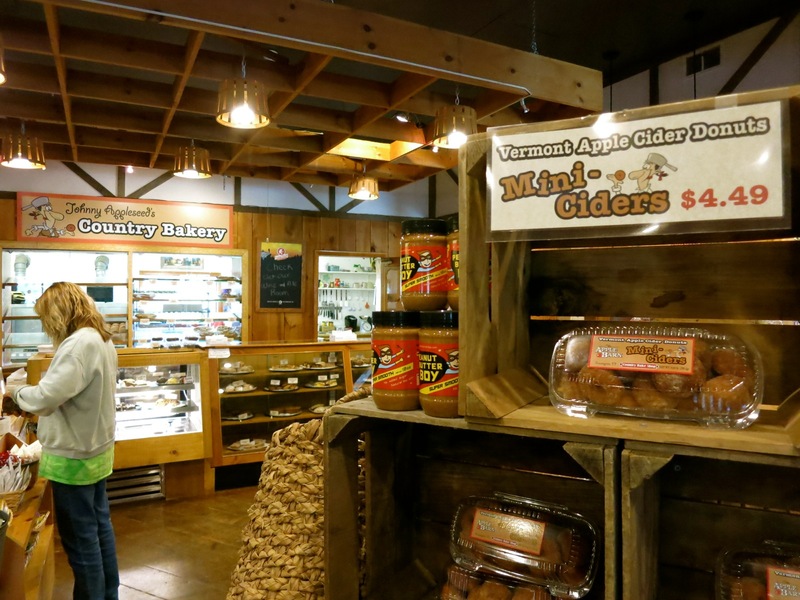 Don’t miss Apple Barn’s famous Cider Donuts- a true first taste of Vermont. 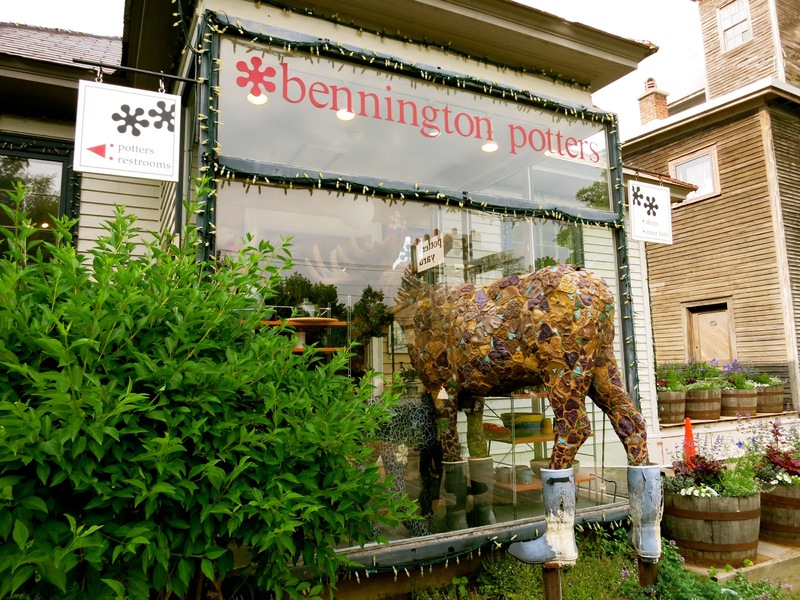 SHOP: Bennington Potters. 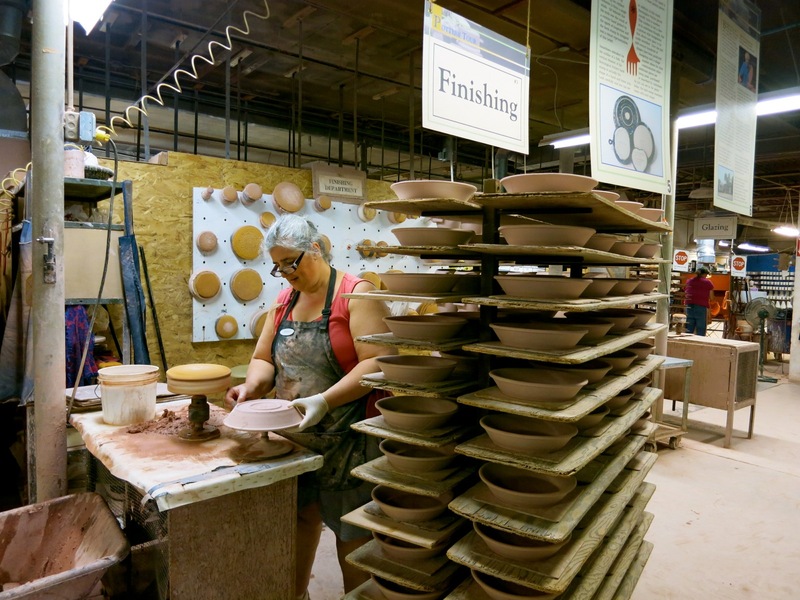 It’s the LLBean of pottery – a Vermont institution since 1948. Take a self-guided tour of the production facility, and then shop in the vast, colorful clay arts emporium. Though it costs nothing to browse, it might be tough to leave without purchasing at least a hand-crafted mug. 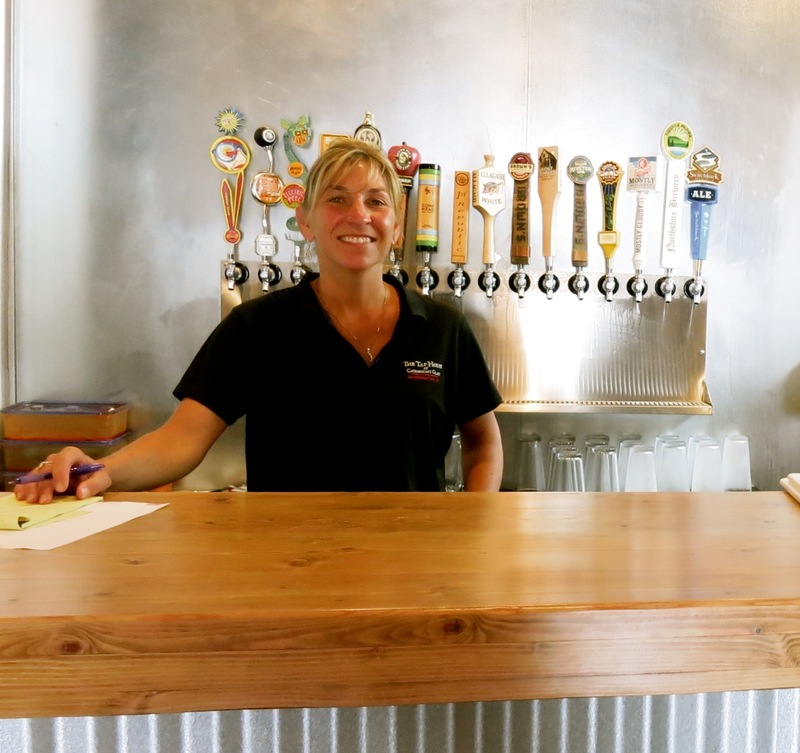 SHOP/DRINK: The Tap House at Catamount Glass. Though the glass is made elsewhere, the folks at Catamount design and personalize innovative ware for food and beverages. Glass coffee/beer mugs double as measuring cups, and its best-selling glass carafe serves as a no butter or oil needed microwave popcorn popper. Catamount Glass just shipped an order of 10,000 to Saudi Arabia, proving that popcorn with no chemical additives has universal appeal. In a brilliant move, the owners decided to open a tap house on site (“we have the glassware, why not serve the beer?”) with 16 mostly-local craft beer on tap, and a small selection of pub grub. Just across the street from Bennington Pottery, this just opened (June 2015) place is sure to be a hit. SHOP: Bennington’s got a cute downtown – Bennington Arts Guild (BAG), Hawkins House Crafts and Jewelry, Cake Gallery, and Crazy Russian Girls Bakery are all worth exploring. 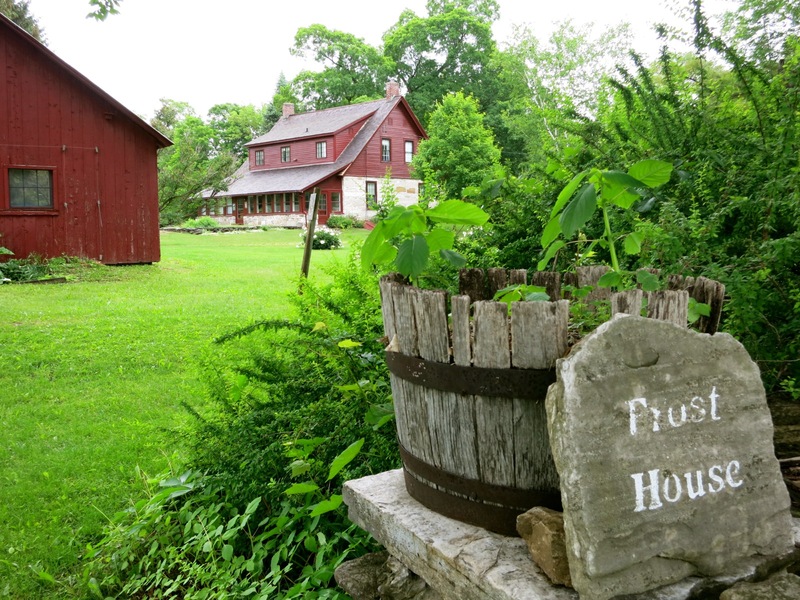 VISIT: Robert Frost Stone House Museum. A bit forlorn, the house and barns are nevertheless gripping in their semi-distressed state. One gathers that this is the way Frost lived – his gaze outward over the fields and forests that surround the property. You understand his poetry a bit better here – it’s where he wrote one of his most popular poems, Stopping By the Woods on A Snowy Evening (I have promises to keep, and miles to go before I sleep). Open Wed-Sun 10-5, $6. STOP: Sugar Shack/Norman Rockwell Exhibit. 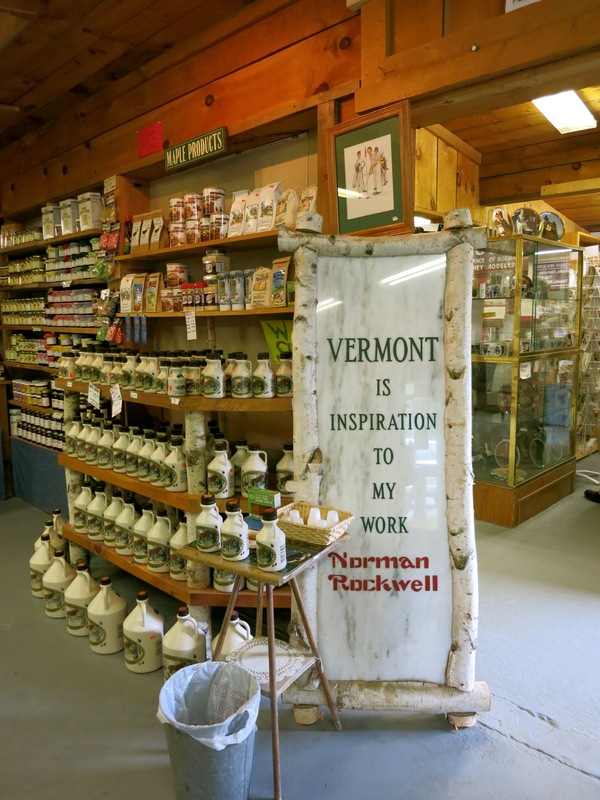 You’ll find this Maple-Syrup maker/bakery/condiment shop a few miles north of Arlington VT where Norman Rockwell lived for 14 years before moving to Stockbridge MA. Rockwell liked the simple, rustic life of Small Town America. Escaping from the societal dictates of New Rochelle NY to a small home in Vermont, he relied on his country-neighbors to model for his paintings. Sugar Shack employees say that Rockwell’s subjects show up at the shop from time to time. You just might meet one. A 15 minute film of Rockwell’s life is shown continuously when the shop/museum is open 9-5 daily from mid April – December. 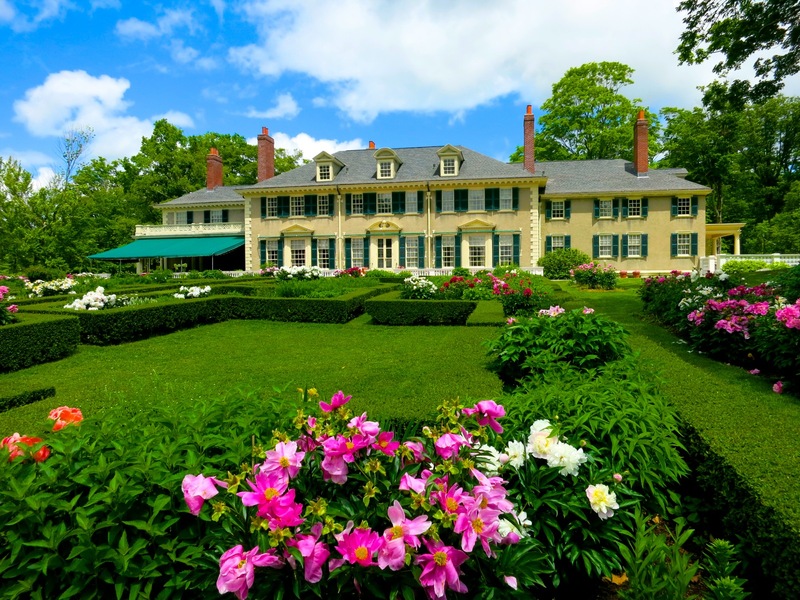 TOUR: Hildene. In 1903, Robert Todd Lincoln, President Abe Lincoln’s surviving son, built his summer home on 412 magnificent acres in Manchester, VT – a popular summer town for wealthy industrialists. As an attorney and President of the Pullman Company, Lincoln oversaw great strides in railroad car engineering. 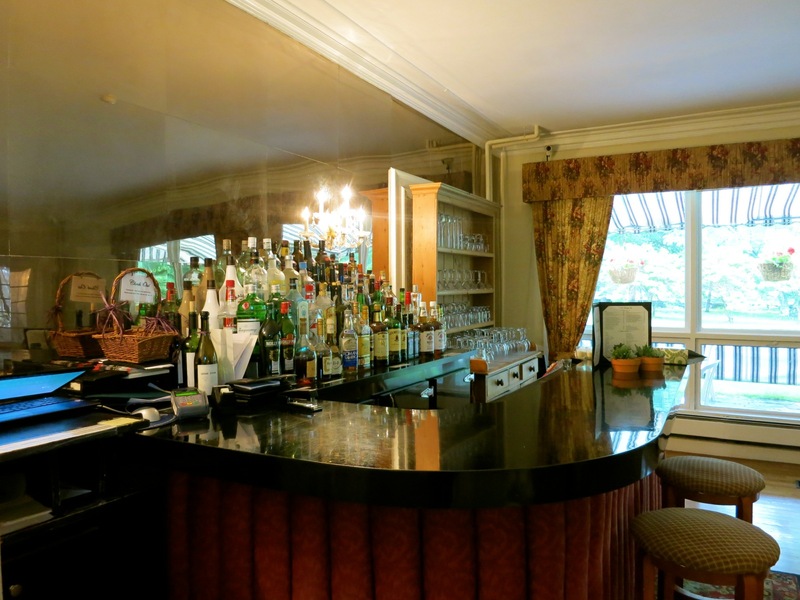 Hildene serves many purposes. It’s a working dairy farm, an artisanal cheese-maker (chevre from resident goats), an observatory, a study in post-Civil War African American society, a beautiful mansion, gardens and more. Plan at least three hours here. 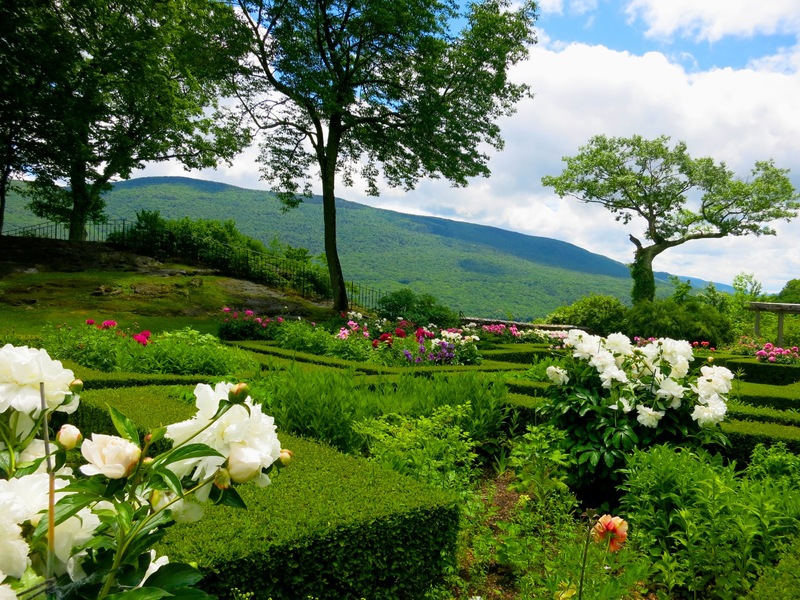 Passed down the family line – finally to great-granddaughter Mary Lincoln Beckwith (who died in 1975) Hildene, in a late stage of Grey-Gardens deterioration, was left to the Christian Science Org, which turned it over to a newly organized preservation group called Friends of Hildene. Since then, FOH has restored the home and gardens back to its former glory, and continues to establish programming and new attractions that are “modern but rooted in history.” Ergo – a solar-powered dairy farm, greenhouses in which students study soil science and farm-to-table gardening, a “Pollinator Sanctuary,” a Bobolink preserve, and a 600-ft floating boardwalk over wildlife-rich wetlands. Start in the former carriage house, now a beautiful well-stocked Visitor’s Center. Take a tour of the main house, where you’ll be treated to rousing music from a player organ with 1,000 pipes hidden within staircase woodwork. You’ll see Lincoln’s Pullman Car home office, original wallpaper in many rooms, and fresh flowers throughout the house, care of dedicated volunteer “Flower Ladies” who change out the blooms twice a week. 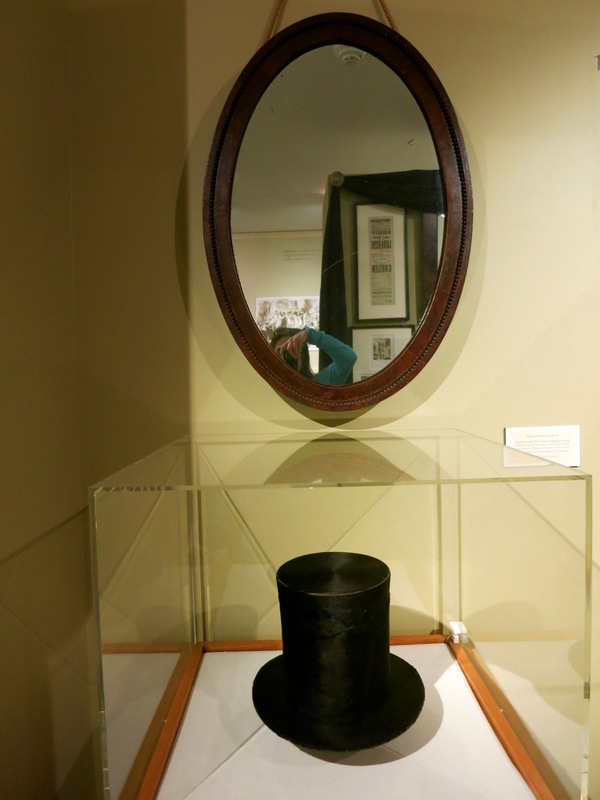 Upstairs in the Abraham Lincoln Exhibit, rests one of Lincoln’s three surviving black top hats beneath what experts believe is the mirror the President used just before going to the Ford Theater on the night he was assassinated. Chills. Next, walk down the hill to “Sunbeam,” a fully restored 1903 Pullman Palace Car – with interpretive signage highlighting a hundred years of African American history from “Emancipation to Civil Rights Movement” (1863-1963). This exhibit is a platform for discourse about the advancement of African Americans after the war. 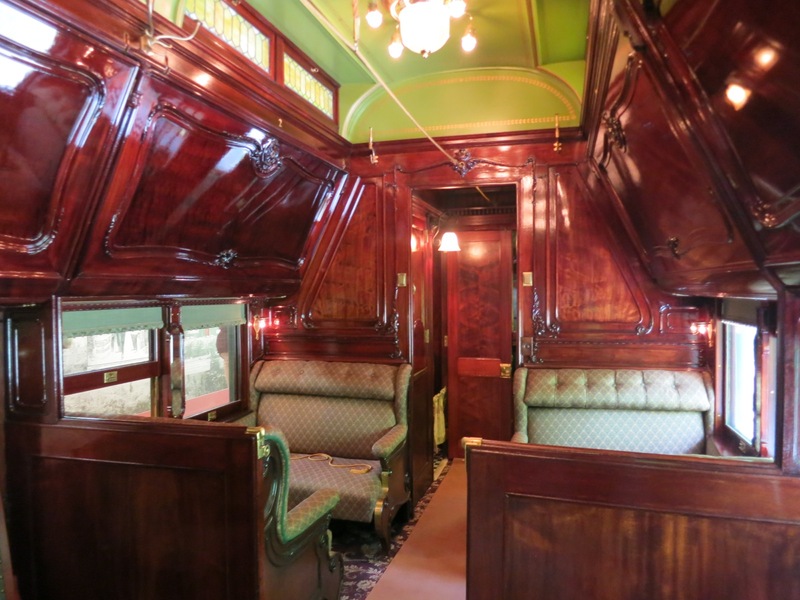 The very plush burnished wood Pullman Executive Charter Car, which you can walk through, exemplifies the height of luxury for the upper echelon of white businessmen who would be served by a porter and chef in each car. On the plus side, the Pullman Company offered opportunities for black men to interact with successful white men – to study their speech patterns, latest dress styles, hear the latest business news, and read the books they left behind. However, though Pullman provided the best jobs for African Americans after the Civil War, as porters they worked effectively 24/7 for very little pay (in most cases, tips only). It was grueling work that many compared to slave labor. Don’t leave Hildene before stopping at the Nubian goat barn, especially in the spring when the babies are jumping. 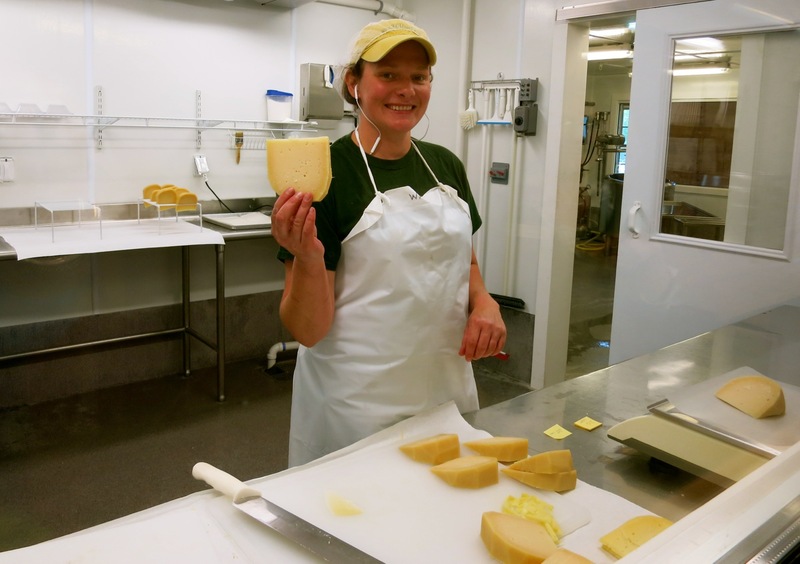 The Rowland Agricultural Center was designed to allow the public to see the resident cheese-making process from milking to packaging. And of course, you can buy the best chevre cheese on site. Plan to spend at least half a day to see everything. Open daily 9:30-4:30 (except Christmas and Easter), $18 adults, $5 kids, Guided house tour $5, Tractor Wagon Rides at 2pm daily, $10. EAT: Allegro. Ask most locals where they go for an upscale meal, this white-linen place is top of the list. 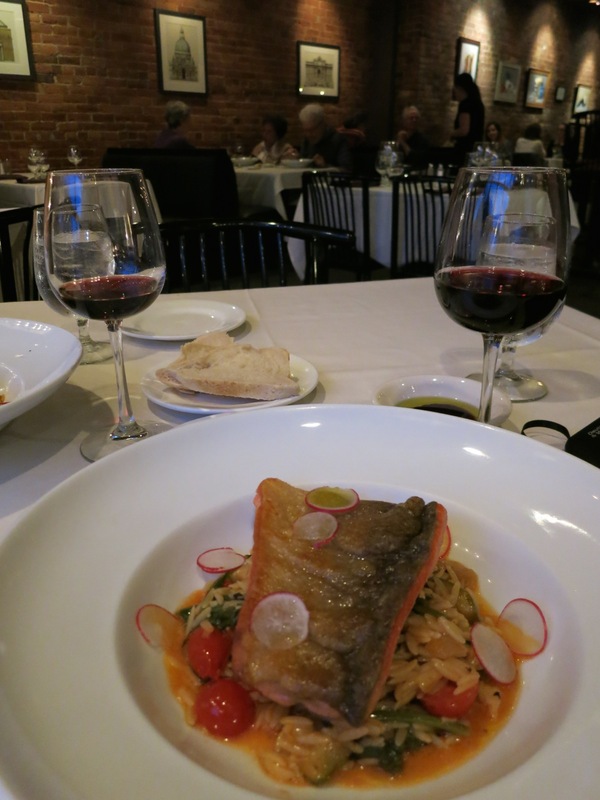 Brick walls, candlelight, colorful art, it’s rustic-cozy with excellent cuisine. Those in the know order the Warm Spinach Salad followed by Crispy Chicken and Risotto ($20) – topped with grilled portabella and pan roasted tomatoes – or other innovative specials. With most entrees priced in the $14-$25 range, you can go ahead and order a bottle of nice Italian red without breaking the bank. EAT: Kevin’s. 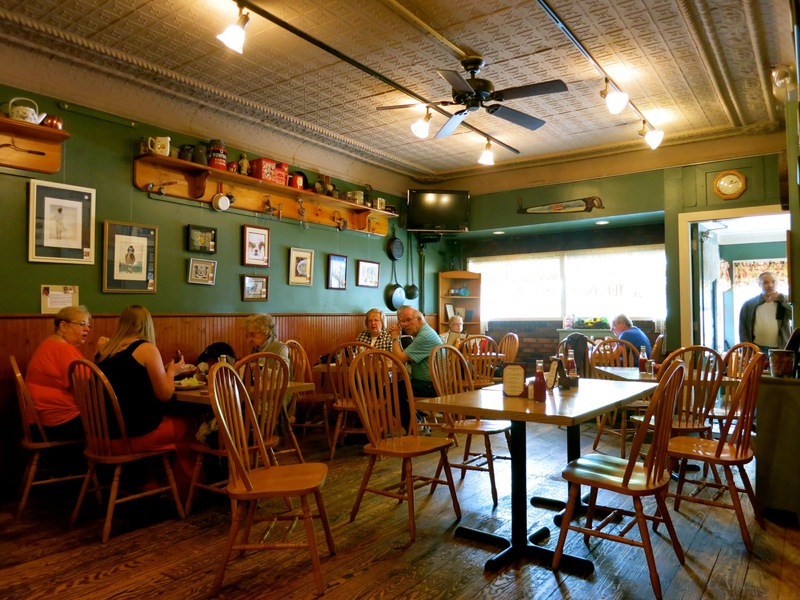 Housed in the former North Bennington Post Office, the casual-country Kevin’s has become both a local and “second home” favorite. Owned by a very community-minded couple (Kevin trains other chefs), servings are generous, prices are low, and the food is fresh and good. Salads (including a “Shrimp Caesar”) are $7-$14, Fish and Chips $9, Entrees $10-$19. Come early or late on weekends – there’s always a line out the door. EAT/BREAKFAST: Blue Benn. 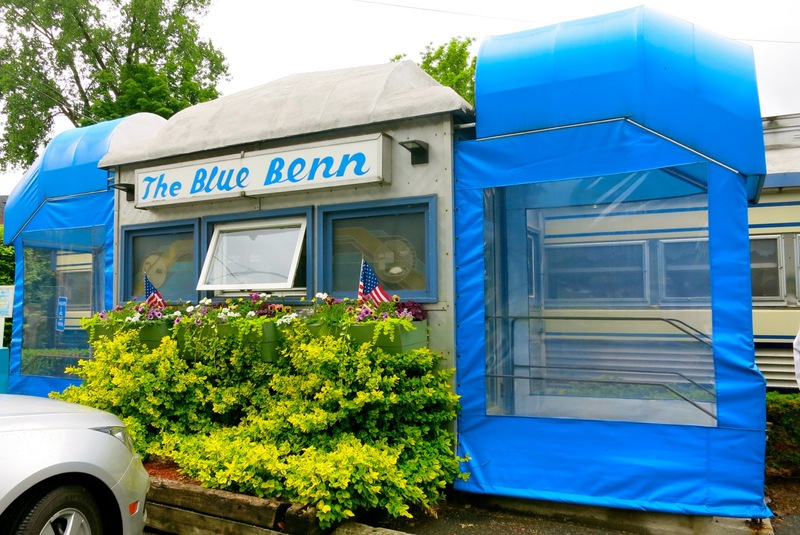 This little blue diner has been a Bennington icon for years. Many travelers and second-home owners make this their first stop in town every year. EAT: Locals also recommend – Lil’ Britain for authentic British fish and chips, Madison’s Brewery Pub and Restaurant, Pangaea in N. Bennington for affordable comfort food. 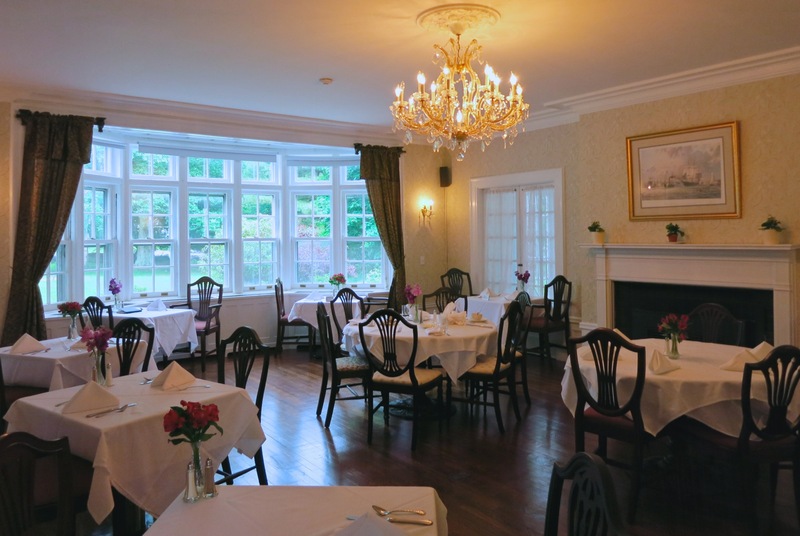 STAY: The Four Chimneys Inn. 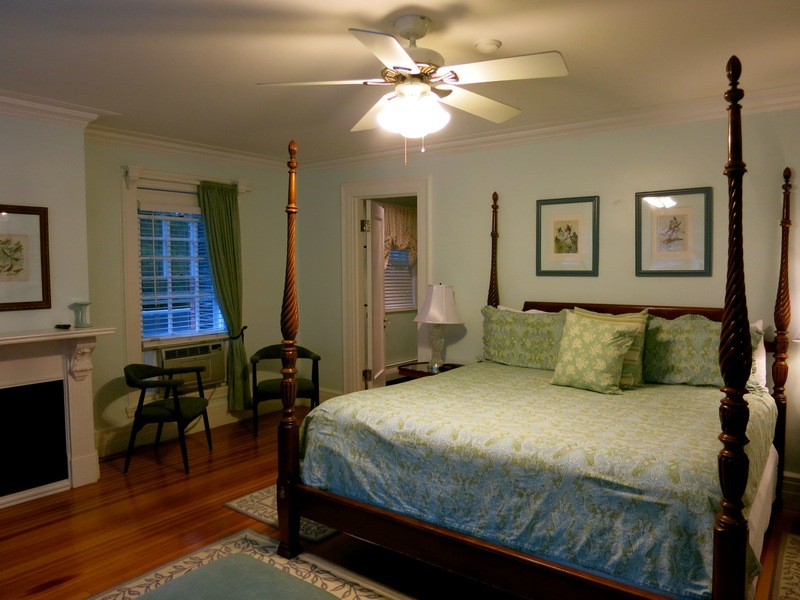 A grand, Federal style 11-room inn, the Four Chimneys has been lovingly maintained by the charming and welcoming Lynn and Pete Green. 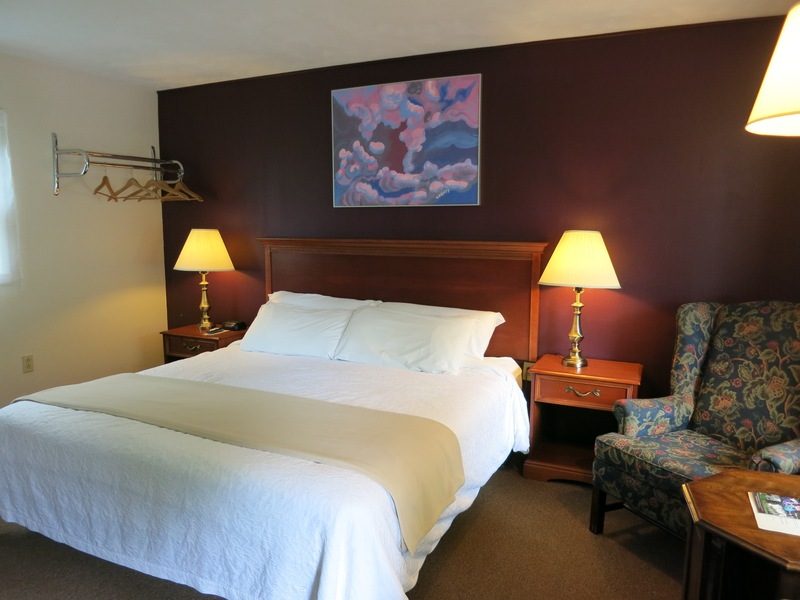 The inn is perfect for visitors who are seeking the Victorian-age “summer in the mountains” experience along with lightening fast wi-fi access. Each room is uniquely beautiful – painted in soothing pastel colors. Room 1 features a carved four poster bed, fine antique furniture, hard-wood floor covered by floral rugs, gas fireplace, and a flat screen tv hidden behind a painting (that swings open like a door). The large bathroom is delightful with a glass shower, tiny crystal chandeliers over a Jacuzzi, and a distinctive copper sink. It’s a room made for romance or peaceful solitary pursuits. The cocktail bar downstairs (available for guests only) is a favorite of repeat visitors, who look forward to socializing in a comfortable setting. Open from 5:30pm-9:30pm, this “living room” bar invites conversation among strangers. You can also choose to take your drink outside to the awning-covered patio overlooking the front lawn. The landscape is lovely even when it’s raining. In the morning, an excellent, made to order hot breakfast is served in a beautifully elegant dining room; a true indulgence. 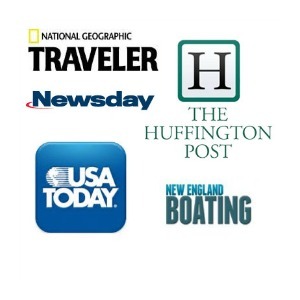 Room rates from $129-$319 per night include a full breakfast, coffee and water available 24/7, wi-fi and parking. STAY/BUDGET: Harwood Hill Motel. New owners would love to change the name of this funky little place (right on Route 7a) to Art Motel. Each room – with one deeply colored wall, features local art that guests can purchase. There are also programs for painting and woodworking classes – given on a lawn with gorgeous views of the mountains. 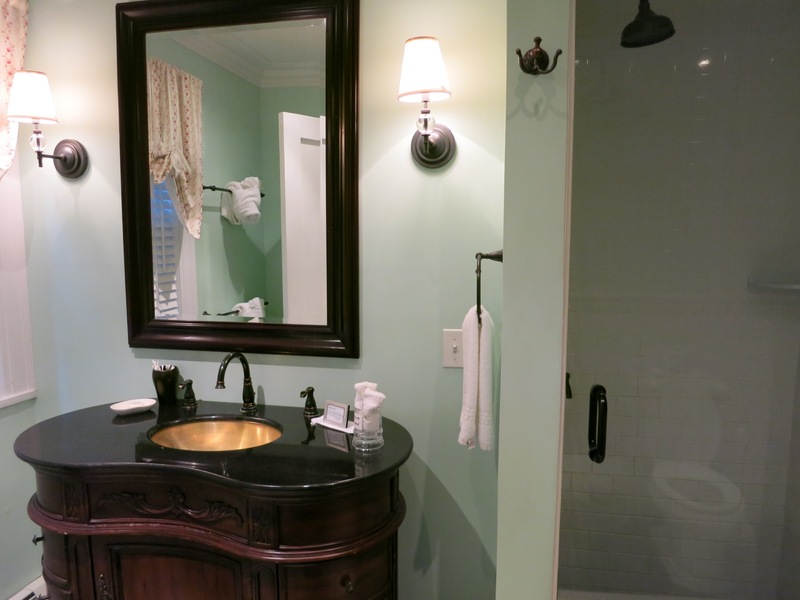 Bathrooms need updating, and cute rooms are modest, but you can’t beat the price. $80-$109 per night – goes up slightly in season. Also, for a limited time, Harwood Hill is offering a multi-attraction, dining and local arts package – for $335 you get two nights lodging and admission for two at area museums, a pair of mugs from Bennington Potters, $40 towards dinner at Publyk House, performance at Oldcastle Theater and discounts to area merchants. Be sure to check out Bringing You Vermont when you are downtown. We are located right next to Allegro’s. Every item in our shop is actually manufactured right in Vermont- much of it locally. We are also known for our cafe which pumps out a variety of hand pies, salads, beverages and baked goods daily. Welcome to VT. It is worth a trip from anywhere. We hope you enjoy your stay. Also be sure to stop into Fiddlehead at Four Corners — the old bank with new art — on the northwest corner of Downtown Bennington and admire two dozen local artists as well as those studio artists from around the country. Pottery. Glass. Jewelry. Oils. Acrylics. Wood. Banned Books case. Photography. Granite. Fabrics. 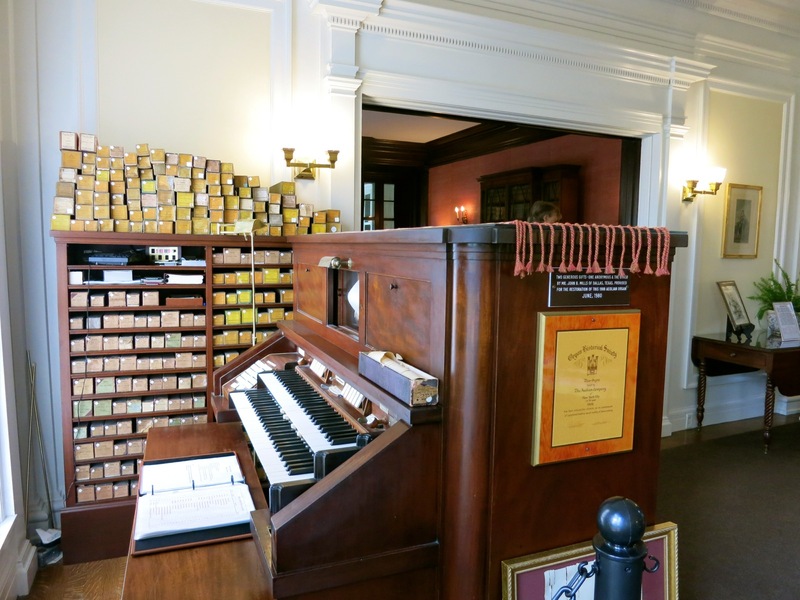 And while you’re here, sit on the bench and play our 1936 Story & Clark piano. Joel and Nina Lentzner, who have owned Fiddlehead since 2000, Thank You for your support! And Bennington is home to Vermont’s oldest independent bookstore: The Bennington Bookshop. Since 1928, still going strong.